With Events Planner, you can have unlimited number of payment profiles and pick and choose which payment method to offer to the customer at an event level. Payment profiles can be the following types. Go to Events Planner > Payment Profile > Add New Payment Profile. You will be presented with a new record form. Enter a Payment Profile title. This will be visible to you in the event manager view. 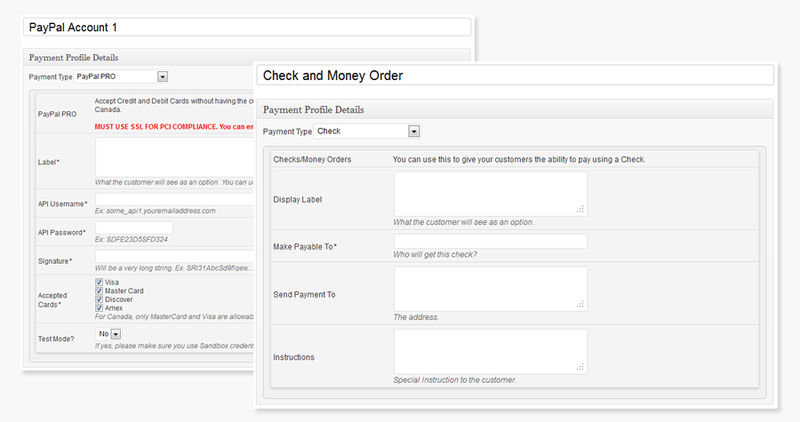 Select your desired Payment Type from the dropdown. Based on your selection, the appropriate fields will be loaded. Enter the appropriate information inside the fields. Once you have entered all the information, simply click on "Publish".